Squidoo was a self-publishing website that quickly skyrocketed to being one of the top sites on the web, only to fall into ruin relatively quickly, in a few years. I was very sad to see Squidoo fall, as it was a site I loved, and I think much has been lost both by its fall from prominence and eventual closure. I was an active publisher on Squidoo during its rise to peak prominence, and through its decline. I saw the demise of the site coming, and stopped publishing on the platform long before it closed. I firmly believe that Squidoo fell from prominence due to specific practices and policies on behalf of the administrators. Here I outline the history of the site and explain the factors that led to its success as well as its eventual failure and folding. I hope that this page can highlight both the strengths and weaknesses of the site, and be a lesson to future site administrators. There are also a few historical screenshots for nostalgia's sake! Launched in 2006 by Seth Godin and Corey Brown, Squidoo was a pioneer in module-based self publishing platforms, as well as a revenue-sharing model which benefitted charity. 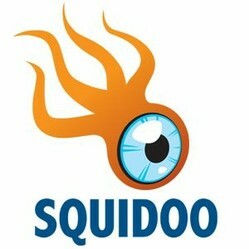 Squidoo was one of many internet projects led by Seth Godin. Another key person, Corey Brown, identifies himself as a community builder on his hubpages bio, and I don't think this is a coincidence as community was one of Squidoo's greatest strengths. The site was launched for beta testing in late 2005; the site was officially launched in March of 2006. When it launched, it was innovative as a self-publishing platform that had a module-based format. This made it a pioneer in its niche, launching ahead of HubPages, which had a similar format, launching later in 2006. The site was also innovative in facilitating the donating of advertising proceeds to charity, with the site taking a cut, and then giving users the control of which portion of the remaining profits to take themselves, and which to donate to charity. Yes, I published on Squidoo. I signed up for Squidoo but did not publish anything there. I've been aware of viewing pages on Squidoo but I did not have an account there. Starting with a bang, Squidoo soared to become one of the top 100 sites on the web by October of 2012; the fastest growth happened June-October of 2012. Squidoo started out with a burst of activity, which was followed by slow and steady growth, which started to pick up pace in late 2009. What made Squidoo stand out to me was the positivity and supportive atmosphere of the site's community. Whereas HubPages struck me as cold and a bit self-promotional, I found Squidoo to be a more supportive place, where established users were welcoming to newer ones. The site was also silly and fun: it had a system of "Squidliking" and "Squid angels" who would "bless" pages, as sort of a peer-review system, intended to maintain the site's integrity and reward authors for the best pages. This system attracted me to the site, as someone who puts a lot of thought into my writing and my work. The site seemed to grow organically as more people were attracted to it by a wide range of factors, including its fun and quirky nature, its rich and diverse features, the positive community there, and of course, the growing potential for earning money and attracting a large audience. Following the history of Google's algorithm changes relative to Squidoo's traffic patterns suggests that Google algorithm changes did not directly drive the rise and fall of the site. The famous Panda/Farmer update in February of 2011, which devastated many content farms, seemed to not affect Squidoo much, perhaps even helping it. The April 2014 Penguin update also produced only a slight effect, perhaps slightly harming Squidoo. Squidoo became overrun with spam early in its history, before its peak, but the higher-profile it got, the worse the spam problem got. Well before Squidoo reached their peak, the site had developed a serious spam problem. The spam problem was created by at least two different incentives: the financial payout for top-ranking pages on the site, and the site's prominence and high level of traffic, which made it attractive to affiliate marketers and people looking to drive traffic to external websites. The higher-traffic Squidoo got, the greater these problems became, because the payoff for spam became greater. But Squidoo built in several features that I think actually facilitated spam. These included a module that made a giant arrow pointing towards a link in huge print, and also aggressive encouragement of users to add more sales modules to their pages. Well before the site's decline, I started to get the feeling that the Squidoo team was making choices that came across to me as inviting or encouraging spammers. By including modules like this, the Squidoo admins may have encouraged or facilitated spam. These links made the site look spammy and fueled into the "click here" sites that just fed into spammy "squeeze pages" on external domains. The spam problem also began to impact the community aspect of the site. The Squidoo forums had a section where users would share newly created pages, offering feedback, including both praise and constructive criticism. As the spam problem worsened, the pages showing up in this part of the forum became worse and worse. The comments left on my pages also became worse and worse, sometimes filled with egregious spammy links, but often just meaningless or generic comments from new users who had published a few spammy pages. For me, seeing the spam problem destroy the site's sense of community was what first started me feeling disillusioned with the site. I was aggravated that I worked so hard to write and publish unique, high-quality pages, and I had to sit by powerless while other users were allowed to spam the site with pages, comments, and low-quality posts in the forums, without being cracked down on. Note that this page, in spite of being egregious spam, on a spammy topic and by a poorly-established author, is ranking 21,926 on the site, high enough to earn a cash payout and receive substantial traffic. Squidoo did not begin cracking down on the spam problem until it was already out of hand; enforcement was weak and inconsistent and lagged behind the growth of the spam problem. As early as 2009, Squidoo began revising and updating its content policies in an attempt to crack down on spam, plagiarism, over-use of affiliate links, and other problems. You can read one of these notices in modified form on HubPages. The problem, as I see it, was that Squidoo did not initially enforce these policies consistently and aggressively enough. There were whole sections of the site, indexed by tags like "make money online", populated by mostly spam and little else. I reported numerous pages as spam, and the response was slow and inconsistent. Some pages were taken down, usually with a delay of a few days, but many (including the spammy page in the screenshot above) stayed up month after month and were never taken down or only taken down months after the fact. My experience with reporting pages as spam suggests that the first problem that went wrong with Squidoo is that the initial updated policies were not enforced strictly enough, and that there was not an active enough response to the spam problem. As a result, there was still a strong incentive for spammers to use the site. Far after the spam problem had gotten out of control, the Squidoo team enacted a series of automatic filters which were aggravating to even the best writers and most sincere publishers. Squidoo alienated their best users. Some time in 2013, Squidoo enacted a series of draconian content filters that forever and radically changed what it was like to publish on the site. Huge numbers of existing pages were flagged as being problematic. The filters took several courses of action: in many cases, they would simply prohibit pages from being updated. In other cases they would put up a warning, after which a page would be unpublished if it were not brought into compliance with the vaguely-specified policies. In other cases pages were simply unpublished without warning. The filters themselves though did not inform the users why the page had been flagged, instead giving a vague form message that gave a long list of different possible reasons, and again, vague policies. Squidoo's content filters reference vague concepts like "Good keyword usage" and "High quality content", but won't tell you exactly what is tripping the filters. Struggling with the filters ate up huge amounts of time when I tried to use the site, and quickly drove me to stop publishing there and maintain only my content with the highest payout. My pages fared better under the content filters than most users of the site, but I still ran up against them so often that it was aggravating. After trial-and-error, I realized that one thing that was causing my pages to be flagged was overuse of keyword phrases...but in some cases it was almost impossible for me to fix or address the problem. For example, try writing a page on calculus books (which I since moved here to Wizzley) without using the words "calculus" or "books" or the phrase "calculus books" more than a certain (unspecified) number of times. After the new content filters, I found my writing style became unnatural and I was dedicating an overwhelming majority of my time on the site to editing my writing in unnatural ways, to come up with creative ways to paraphrase things or substitute synonyms, in order to avoid tripping the keyword density filters. I also ran into problems with external links. I make liberal use of external links on my pages, often linking heavily to Wikipedia, which I think is an excellent reference to clarify technical terms. I was forced to remove many of these references, and I thought this left my pages impoverished. I also found inconsistent and slow responses when I wrote to the Squidoo team to get pages manually "greenlighted" in the cases where I gave up trying to get them past the content filters. The Squidoo team greenlighted many of my pages, but the response was slow and inconsistent. In many cases, the team would greenlight a page, only to have it get tripped in the filters again the next time I updated it. My experience with the site was so aggravating that I stopped publishing new material on the site entirely, and began to plan a move of the material over to Wizzley. Just as fast as its skyrocketing into the top 100, Squidoo's traffic fell off, with the site's prime benefit - traffic and visibility - vanishing even for its best users. Squidoo's fall began before the worst of the content filters were implemented. Following the site's peak in October of 2012, the site's traffic began a steady and steep plummet until around August of 2013, when it bottomed out and began a slight recovery, only to stagnate and fall more gradually into and through 2014. Alexa's data in the internet archive shows that by late 2013, the site had fallen to a global rank of 652, and 401 in the US, a major loss from its position in the top-100. Quantcast estimated its number of unique visitors per day to have fallen from around 1.4 million to around 230,000. That's a loss of over 83% of their traffic. My own experience with my pages on the site, interestingly, was that my pages held on longer. My traffic remained high through July of 2013...but in late August, the traffic dropped off precipitously. I had been getting as much as 1,900 visitors a week, and this dropped to around 400, and remained flat at this level for the remainder of the site. To compare, one of my other sites, RateTea, consistently gets 5,000 to 10,000 visitors a week, making the new level of Squidoo a drop in the bucket for me, in terms of visibility. In August 2014, Squidoo announced a deal with HubPages, in which the top content from Squidoo was going to be moved to HubPages, and the rest of the content would be deleted. Squidoo gave users a choice to opt out of this transfer, and I acted on it--I do not like HubPages and did not want my material published there, instead choosing to download my content and then upload it here to Wizzley, a site I am much more a fan of. I was disappointed with the choice of the Squidoo team to sell to HubPages. I understand that HubPages is the largest site with a model similar to Squidoo, and I can understand how people want to close out and cut their losses on a failed business venture, but I had a particularly sour feeling about this deal in large part because I originally chose to publish on Squidoo after trying HubPages and disliking it, and preferring Squidoo better. When I saw Squidoo decline and vanish, I felt like something good had been lost. I am grateful for the presence of Wizzley, however, as I like it even more than Squidoo, Hubpages, or any other sites with a similar model. What's your favorite Squidoo alternative? Three of my top-performing pages on Squidoo, which I recently moved to Wizzley. I statements, or I messages, are a form of communicating with many benefits, such as conveying respect, reducing conflict, and being more persuasive. Reviews and recommendations of textbooks in Calc I, II, and III/Multivariable, as well as supplemental books for self-study or enrichment. I arrived at Squidoo some time after it had started, but my opinion is there was a lack of understanding of what the real point was, earning money. I worked hard and eventually got to level 80, along with Giant Squid. Then, they changed the requirements and allowed more Giant Squids, a response to new writers who wanted to start at the top. I had over 300 lenses and was earning close to $300 each month, but I never had more than 2 lenses in tier 1 at a time. Then, one month my earnings dropped. Tier 1 dropped from $60 range to about $6, and lower tiers were hardly worth considering. My feeling is the problem started with the cancellation of the fan club, and limiting internal visits with interaction. Internal traffic helps with ad impressions, and they were eliminating too much internal traffic. Then, only the top 250,000 lenses would be featured causing seasonal lenses to drop and be difficult to recover the next year. And yes, spam was high. One person would write on a topic like pillows, then change the color and repeat, over and over. I also stopped writing about a year before the end, but after some time I got a notice I had to write five lenses in different areas to remain a Giant Squid. Once that went away the filters did damage. I had about 300 lenses transfer to Hubpages, of which I reduced them to about 120, and they still sit there without much traffic. It is so much better here. It's all been disappointing. None of us writing online can take things for granted. Several sites have gone down the tubes in the past year along with Squidoo. Let's hope Wizzley keeps growing stronger. It's a good site. Nice article, I like you never cared for that big arrow as if a neon sign to a cheap hotel... Spam like for sure. I have been here at Wizzley for a while and love it, the admin here are top notch and classy. The nuts and bolts of it all are iron clad and well to my liking, it all makes good practical sense. I am sorry to hear about the sell out. I understand how disappointing that must be. It is good to have you here, look forward to reading your work. I do not know who you were on Squidoo, but this is a well presented summary of what went wrong with Squidoo. I bailed out in November 2013 - voluntarily. No locks, no sanctions from Squidoo HQ, I had just had enough of jumping through hoops put in my way by people in whom I had lost any faith that they actually knew what they were doing. Since then I have watched a certain individual, who grovelled and bowed down to the altar of Squidoo, rewrite his own history as he sticks the knife into Squidoo HQ and in particular Bonnie Diczhazy, who he "supported" all the time he appeared to be benefitting from his "support". This person was totally disrespectful to those of us who questioned what was happening on Squidoo during the latter part of 2012 and through 2013. We were labelled as "negative". Now he has turned on those he fawned upon and does not have the decency to acknowledge that we were right and apologise for his constant vitriolic comments. He now wanders around, on various publishing platforms telling us what went wrong with Squidoo, as though he never worked so hard to be Teacher's Pet. Your summary of what happened is pretty accurate, although we can't know what all went on in the background. In a longer view, I believe Squidoo went bad because Seth Godin and Megan Casey got drunk on Adsense and Amazon revenue. Megan had more to do with things than Corey and was actually billed as a co-founder with Godin. She once suggested that affiliate revenue was the only real way to make money on Squidoo, pretty much suggesting that writers were wasting their time. Moreover, she - surely with Godin's blessing - left the gate open for the mob of affiliate marketers that turned Squidoo into a marketing maelstrom where anyone who know how to manipulate an Amazon module, with or without content, had a shot at some dough. The infamous, highly rated (on Squidoo and Google SERPs) shower curtain catalog lens comes to mind. Finally, Google had enough and stopped sending traffic that wasn't warranted by original content. The erosion started and Megan Casey bugged out, leaving Bonnie Diczhazy to deal with the mess. Bonnie was in over her head, and Godin, who fancies himself a genius, steered clear too. Diczhazy's leadership took only eighteen months to wreck the site completely. The upshot came when Godin finagled a way to sell content he didn't own to a willing HubPages and Bonnie escaped to a job with, guess who, Megan Casey. Squidoo's admins came out on top, its content creators left with little leverage and less time to figure out how to deal with being ripped off. I tried to like squidoo about a year and a half ago but it was cunfusing to me. I also thought their page layout was too busy. I'm glad you arrived here. I like your work! I never could understand Squidoo's payment system. I published one or two things there then removed them within a week and looked for something new. I have created an account with squidoo, but I think I have published only one article there. Wizzley is much easier use. Looking forward to reading anything you can post here from Squidoo, MBC. Well I was with Squidoo for over 7 years so my 300 plus pages and now defunct since I did not go to Hubpages. It's going to take a long while to get my revenue back up to a decent monthly income again.